Well, there is another set of bad news for the smokers. The latest findings in the research at King’s College London, now directly blames the nicotine of altering levels of brain chemical dopamine. Thus acts as a strong catalyst for development of schizophrenia as a serious mental disorder at a young age. 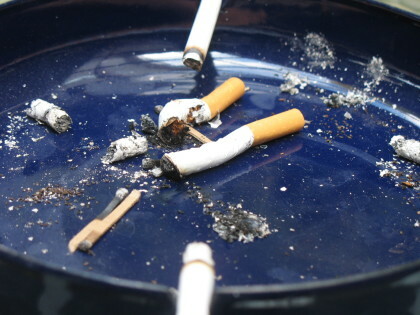 It has been further investigated in the study that smokers develop schizophrenia a year earlier on average. On the matter of debate if there’s a higher rate of smoking before schizophrenia is diagnosed, then smoking is not simply a case of self-medication. However, more research is still required on the subject. The data, published in the Lancet Psychiatry indicated that 57 percent of people with psychosis were already smokers when they had their first psychotic episode, and daily smokers were twice as likely to develop schizophrenia as non-smokers. Dr James MacCabe said that it was hard to establish causation with this style of study, and they hoped that it would lead to other researches and clinical trials that would help to provide firmer evidence. While most smokers do not develop schizophrenia, the researchers believe it add to the risk as nicotine altered levels of the brain chemical dopamine, which has already been implicated in the psychosis.